Based on the same method as the popular Learning Chinese Characters, Glen Nolan Grant’s Learning Japanese Kanji offers a humorous and memorable approach to mastering the first 500 kanji. When preparing for the JLPT, one of the biggest problems learners face is the large amount of Japanese vocabulary. If you live in Japan or at least get enough Japanese input then the listening section of the exam is easy enough. 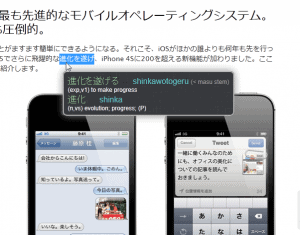 You can cram on the grammar and learning kanji intelligently will greatly ease your pain. With vocabulary though, there’s no getting around it. You have to expose yourself to the language and put in enough time to learn it. EDIT: The situation has greatly improved since this post. Please read this update on how to find good Japanese content for the Kindle. Happy New Year everyone! I don’t know about you, but the New Year has got me motivated to get back to studying languages and reading more Japanese. I also plan to take the N1 this summer. I will touch on that in future posts. 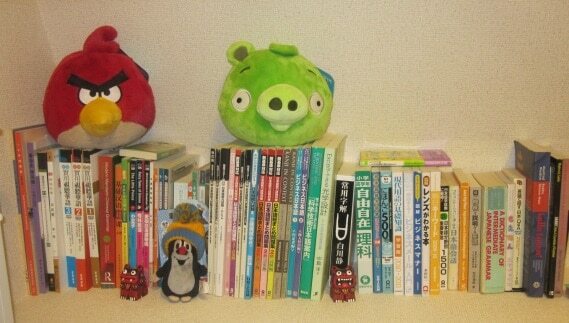 Another of my long-term goals is to become more literate in Japanese and to read books that Japanese people read. I like reading Japanese news and blogs like Itai News on my PC and iPad but I have always wanted to read more Japanese content offline. It’s more relaxing with a book and looking at a screen all day makes my eyes sore. However, I hate looking up kanji and new vocabulary manually. It takes a lot of time and distracts me from the book I am reading. This and a lack of space in my tiny Japanese apartment has meant that, over the years, I haven’t bought that many books in Japanese. Up until now, there haven’t been many Japanese e-books available either. Well, I have finally found my solution. We got some good feedback for our best books for learning Japanese post so we thought we would add some more to the list of worthy study aids for Japanese. The books we present here are somewhat more advanced than the previous post. If you are just starting out, we recommend you check out the books in the top 10 post before getting these.